First of all, I apologize for the cobwebs gathering on this blog. Life and a bad cold (which I am still fighting, but one can only spend so much time sleeping before your brain starts to hurt) got in the way of blogging. I watched the second episode of The Bletchley Circle with mixed emotions. Don’t get me wrong, I still love this show and will be extremely sorry to see it end. (CONFESSION: I have the Blu-Ray on backorder.) I did, however, start seeing a few things I had feared would happen given the series’ short run. I was extremely fascinated by the methods they used to figure out killer’s modus operandi and the location of the next victim and hoped to see more time spent on that in the second episode. The opening minutes, however, showed them already narrowing the field to seven suspects and then to three in short order. How I wish we had been allowed to see more of how they pieced together their conclusions. The other thing I wish could see more of the individual characters’ development. It’s not surprising given the series’ short run, but I do wish we could see each character go beyond the broad brushstrokes: extremely smart Susan, worldly Millie, sweet Lucy, and capable Jean. It’s a testament to how well-written and well-acted The Bletchley Circle is that I find myself so invested after only two episodes. To see the series end after three weeks is like finding out those great women you just met at the coffee shop are moving away at the end of the week. Since no blog entry would be complete without some fun trivia, did you know that Rachael Stirling, who plays Millie, is Diana Rigg’s daughter? Dame Rigg, of course, has had a long and illustrious career, but I will always, always love her for her portrayal of Arlena Stuart Marshall in the 1982 film adaptation of Agatha Christie’s Evil Under the Sun. Before I end this post, I wanted to mention that I am currently re-reading Carolyn Hart’s The Christie Caper in preparation for her 50th release, Dead, White, and Blue. The Christie Caper is my favorite Hart book so I’ve read it numerous times. It actually (re)introduced me to mysteries and introduced me to cozy mysteries. I had been a huge Christie fan, but had fallen off the mystery wagon for a little while. I was trying to figure out where to start up again, when I spotted The Christie Caper on display. I picked it up, saw that it was a mystery set during a celebration of Christie’s 100th birthday, and well, you know the rest. Stay tuned for my thoughts on Dead, White, and Blue! 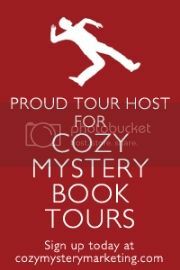 As I mentioned previously, I signed up for Mysterious Galaxy‘s Fantastic Firsts Cozy Mystery Series Starters. If you’re in San Diego and have not stopped by Mysterious Galaxy, you are missing out on this town’s best bookstore! This is a complete first for me as I have not read any of the Lavenes’ other series, and I am looking forward to a new book and author. I am clearly not going to be posting my thoughts on this book before the month is out, but will do so very soon. If you’ve read That Old Flame of Mine, I’d love to hear from you. Hope your week is going well–we’re halfway to the weekend! P.S. In addition to the Cozy Mystery Series Starters, Mysterious Galaxy has five other Fantastic Firsts Book Clubs so check those out as well. Lately, however, my book buying habit has moved to a whole new level. My “to read” pile has gotten so large that I’ve bought duplicate copies of certain books. One of my recent purchases at Mysterious Galaxy was Scones and Bones, the twelfth installment in Laura Childs’ Tea Shop Mysteries. When I looked in my gym bag a few days later, guess what I found? Another copy of Scones and Bones, which I obviously put in there as an “emergency” book. I need to organize my shelves ASAP…or yesterday. In other news…how awesome was The Bletchley Circle? So awesome that I am seriously considering buying the DVD so I don’t have to wait to see the remaining two episodes. I have a few things I need to get off my desk, but I will be back with an honest-to-goodness post on the first episode by the end of the week. In case you missed it (or if you just want to watch it again like me), the episode is available online until April 28th. Hope your week is off to a good start! If you did watch The Bletchley Circle, I’d love to hear what you thought. I am a Downton Abbey fan. I realize that makes me one of a gazillion people, so I won’t spend any more time on that. I also realize that if you’re one of the gazillion, you’ve probably spent a little time trying to remember what you did on Sunday nights pre-Downton. I was starting to get into Death in Paradise, which was airing right after Downton at the beginning of Season Three, but it has since disappeared from my local PBS station’s schedule. Sigh. Thankfully, I’ve found the answer…at least for the next three Sundays. Starting tomorrow night at 10:00 p.m. (please check your local listings, though, as “PBS schedule expert” is nowhere to be found on my resume), PBS is airing The Bletchley Circle. It’s about a group of women who secretly worked as code breakers at Bletchley Park during World War II and reunite years later to catch a serial killer. Is it Sunday night yet? How can you not look forward to this series? I’ll be back after tomorrow with my thoughts on The Bletchley Circle and would love to hear what you think if you tuned in. P.S. A blogger (whose blog I love) recently posted that watching Downton made her want to say, “m’lady” afterwards and wanted to know if that happened to anyone else. Sadly, what happens to me is that I want someone else to call me “m’lady” after I watch an episode. And bring me tea and scones. Oh well. On the Road…to The Mysterious Bookshop! I recently traveled to the NY/NJ area to visit family and paid my first (but definitely not my last) visit to The Mysterious Bookshop, one of the oldest mystery bookstores in the country. It was perfect, down to the comfy couch in the middle of the room. The staff may still be wiping my drool off the place. 😉 Sadly, The Mysterious Bookshop is one of the last (if not the last) mystery bookstore in Manhattan. Murder Ink, Partners in Crime, and the Black Orchid Bookshop have all closed their doors. What are you reading nowadays? I’m always on the lookout for new authors/books and would love to hear from you. If you want to just geek out with me, I’d love to hear from you too! P.S. If you do get invited to cocktail parties where Murder, She Wrote, Ellery Queen, and similar trivia come up on a regular basis, please let me know. You are clearly my long-lost friend.